CCM8.5 on erittäin laadukas 800-sarjan suunnitteluperiaatteita hyödyntävä kattokaiutin. Hiilikuituvahvisteinen diskantti-elementti ja 7" Kevlarista valmistettu bassokeskiääni. 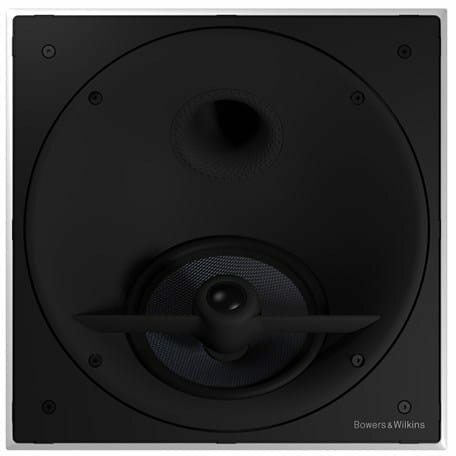 CCM 8.5 is a two-way in-ceiling loudspeaker, which offers high-quality acoustics in an incredibly discreet package. It features a Carbon Braced Tweeter and a single 7inch bass/mid Aramid fiber driver, with anti-resonance plug. All the drive units are located in a continuously rotatable mini baffle, which allows for the custom installation version of ‘toeing in’ the loudspeaker.